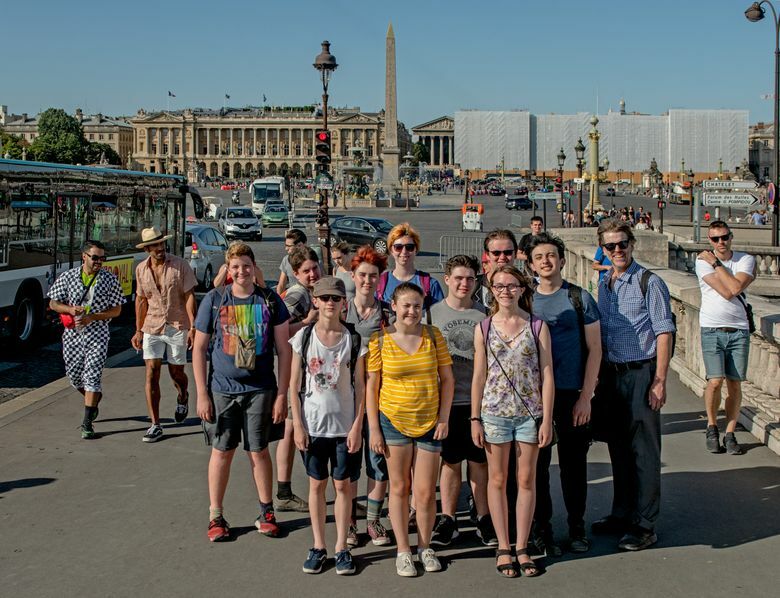 With students from Bellevue’s Hillside Student Community School, photographer Jean Sherrard revisits Paul Dorpat’s youthful photo of historic Place de la Concorde. Most of the 10 students posing in our “Now” photo for their teacher-tour guide, Jean Sherrard, are 15 or 16. But not Kael Sherrard, Jean’s smiling brother, in the blue shirt on the right. Kael is their principal at Bellevue’s Hillside Student Community School. Probably every one of these students carries her or his own camera (in a phone) and is regularly sending pictures home to parents, siblings and friends. In 1955, we were not equipped to be that smart. Place de la Concorde is as elegantly packed with landmarks as those surrounding London’s Parliament Square. Posing at the north end of the Pont de la Concorde, the Hillside students are standing above the River Seine. Centered above them, the most distant classical structure, with its tall columns, is the Eglise de la Madeleine. It was conceived as a pantheon in honor of Napoleon’s armies. The two long and nearly twin classics on the distant side of Place de la Concorde were completed in the 1770s. Through their two centuries-plus, they have served many purposes, including as a warehouse for the king’s extra furniture. The Hotel de la Marine, on the right, with the temporary gray blanket, reminds me how soot-shrouded the landmarks of Europe were when we visited them in the 1950s. The Luxor Obelisk that stands tall above the Hillside students was not stolen from the Egyptians but rather given to the French in the 19th century. Removed from its place at the entrance to the Luxor Temple on the Nile, it arrived in Paris on Dec. 21, 1833. Three years later, the 75-foot-tall column was set at the center of Place de la Concorde, near where in the 1790s, the execution “theater” of the French Revolution excited the hordes with its efficient guillotine. Renamed the Place de la Revolution, it was where blades cut off the heads of hundreds of aristocrats, along with the people’s terrorist, Maximilien Robespierre; King Louis XVI; and his queen, Marie Antoinette. 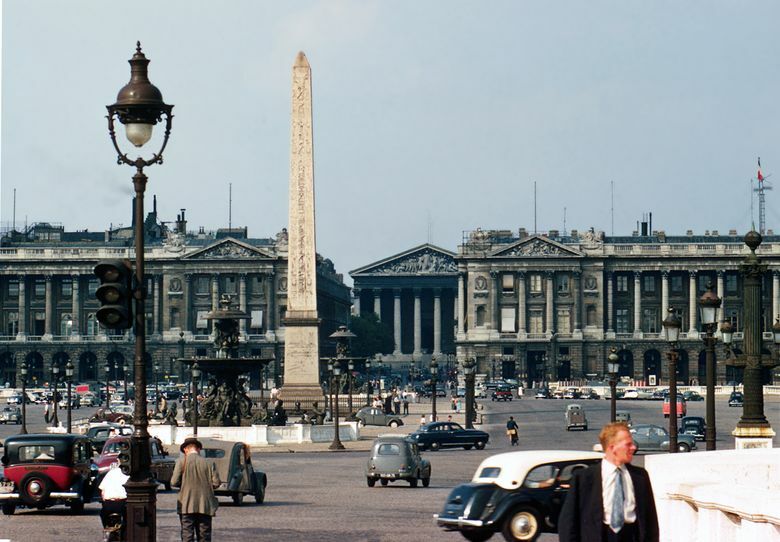 By 1795, the square had settled down and was renamed the Place de la Concorde.